Location! Location! This is a must see POOL home located in the highly desirable community of Woodfield! This stunning former Rutenberg Model Home is loaded with upgrades. Just some of this home's finer features include: 4 Bedrooms, 3 Bathrooms, over 2700 SF of Living Space, Double Glass Front Doors, Freshly Painted, New Carpeting and Updated. The Chef’s Kitchen offers wood cabinetry, granite counter tops, stainless steel appliances, built-in shelving, hammered copper farm sink, island with breakfast bar, plus a large eat-in area. The large family room has shiplap fireplace for those chilly Florida nights. The Master Suite is generously sized and includes a sitting area, double sinks and garden tub in master bath. Other features include: 3 sets of French Doors, plus upgraded fans and light fixtures. The pool area has paver lanai, which is great for entertaining family and friends, or just enjoying the beautiful Florida weather. 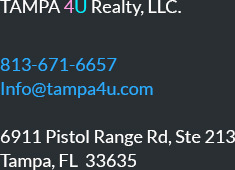 Conveniently located near shopping, restaurants, golf courses, top rated schools, medical facilities, parks, beaches, and expressway to Tampa/Clearwater. Schedule your showing today!